Pranks got a high-tech makeover! Month of March is nearing its end! Pranksters are on the lookout for crazy stuff to relish every given opportunity that he or she gets on April Fool’s Day. They can pounce on you anytime, anywhere. Pranks have been in existence since the dawn of mankind; most of us had a fair share of it and enjoyed those moments too; it’s just that they got a high-tech makeover these days! In the age of smartphones, Internet of Things, and wearable technology, jokesters too made their way into app stores with sophisticated ideas and hilarious content to perform the most evil of gags. And it has become super simple than ever to use these mobile applications to play pranks that will fill your day with laughs. 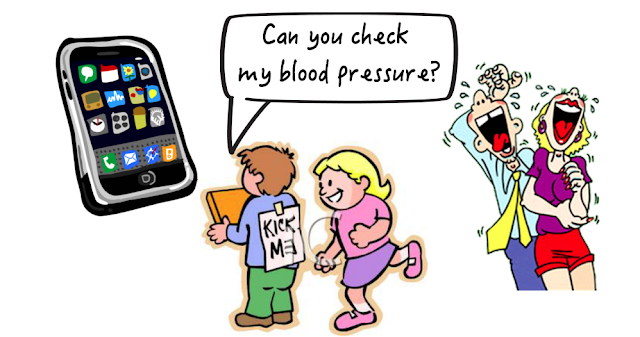 Yes, you do have a long list of apps that claim to check your blood pressure and blood sugar as well in the play store and app store. They appear super credible and could make you think that it is a real application that is calculating your BP or blood sugar. Unfortunately, some of these apps could probably have the potential to annoy and upset you, which is why it’s important for you to exercise great caution and apply common sense while exploring these so-called prank apps to avoid any wrong consequences. It can only prove its utility for a general mischief or a lighter moment and nothing beyond that. Ah, there you go! You could expect a smartphone app to control just about everything in your life, and they can be fun so long as they are harmless, intended to have a good laugh, and don't cause any long-lasting damage. Now, wanna try something original....and you will not regret!